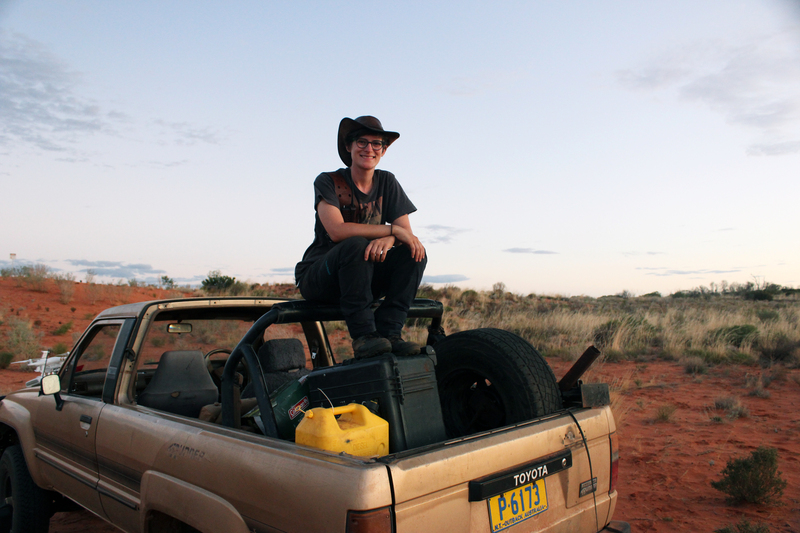 Having found horses and water west of Mereenie we set up Mulga Camp ready to begin the next stage of documenting horses. While horses in Tent Hill had beautiful hooves, neat and well-maintained, the horses of this region had rough and uneven hooves, chipped and sometimes badly damaged. The difference between hard ground which produces good hooves, and this sand hill country which doesn’t wear them down, was pronounced. 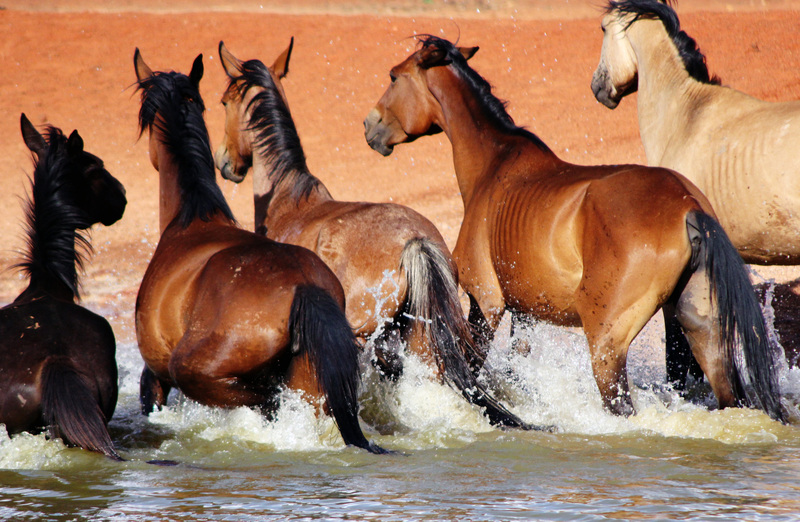 The horses themselves, while beautiful, are far from native to this land. 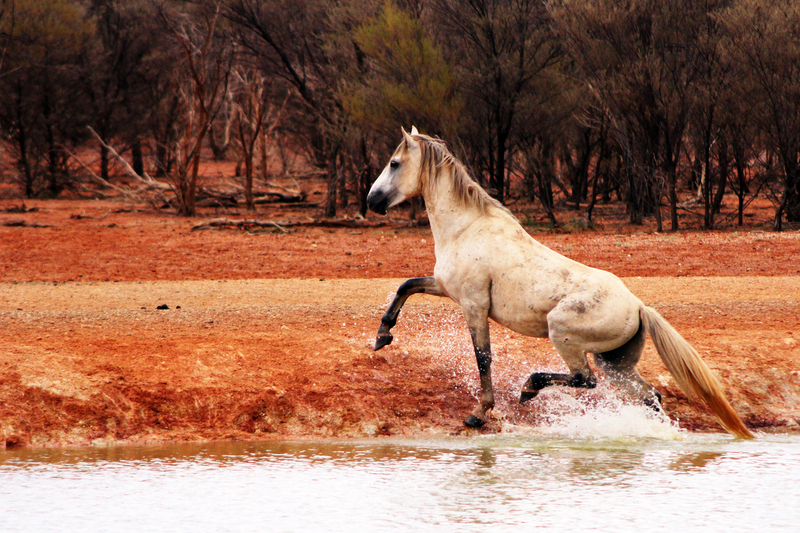 A result of collapsed cattle stations and horses let go by drovers or owners over time, brumbies are a vast mix of breeds and heritage. 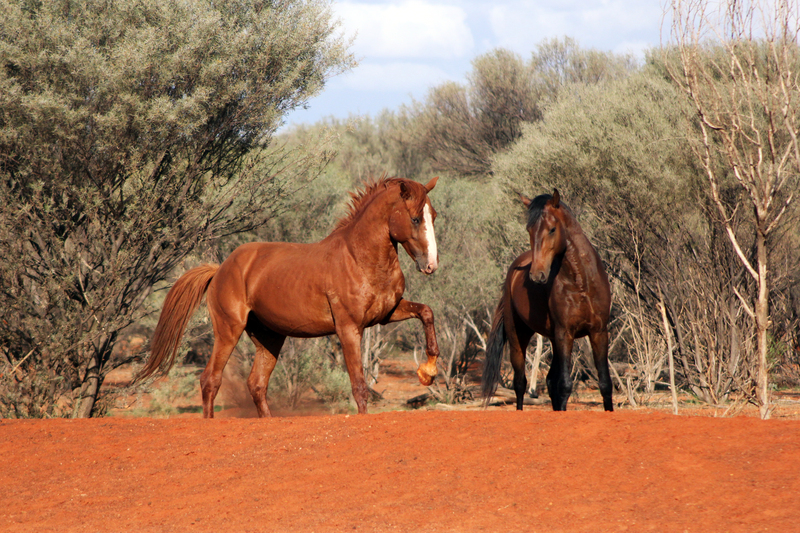 The traces of thoroughbred heritage is clearly visible, as well as traces of Australian stock horse, draft horse and quarter horse – the odd appaloosa and paint colours also filtering down. 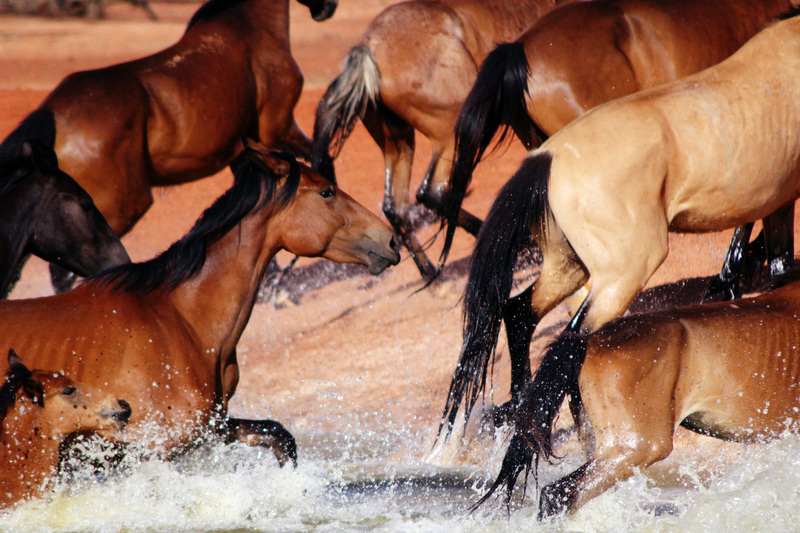 These horses are feral, and being so, they do produce problems. 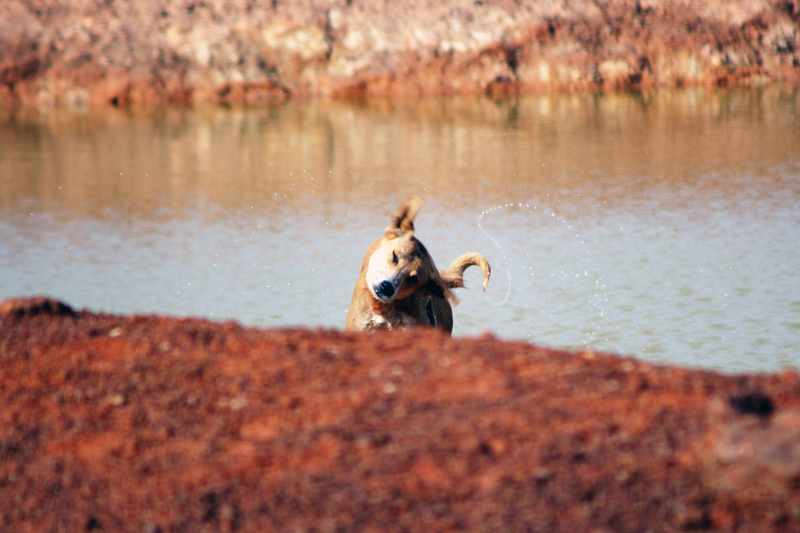 In all of the areas we visited that were highly populated by horses, native animals were hard to be seen. 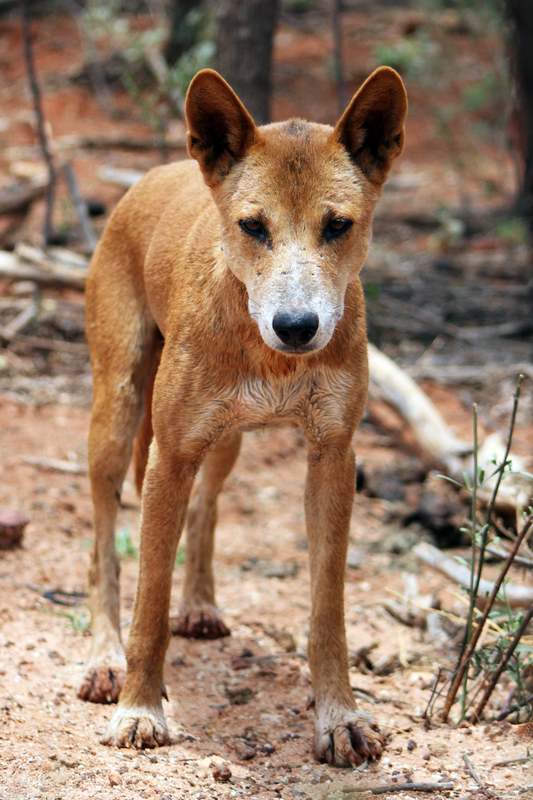 Horses eat all of the pickings that animals like kangaroos and wallabies, not to mention the smaller marsupials, thrive on. 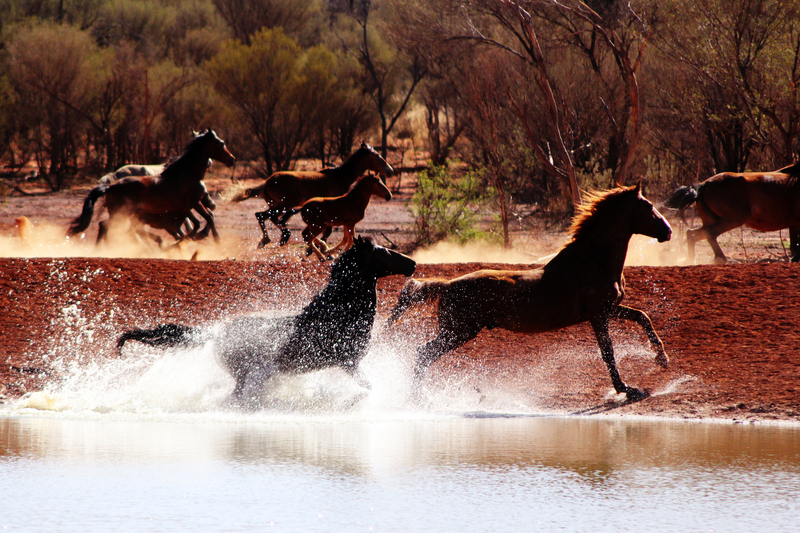 Not only this, horses have hard feet as opposed to the native animals. 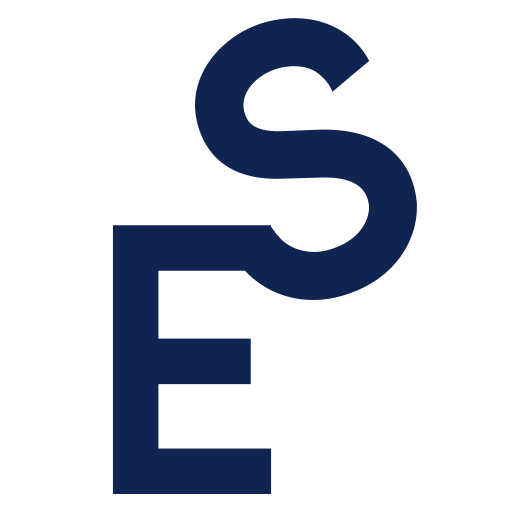 Horse hooves can do a great deal of damage to the environment, causing minor degradation and damaging small micro-plants on the ground – little ferns and mosses and other delicate native plants. 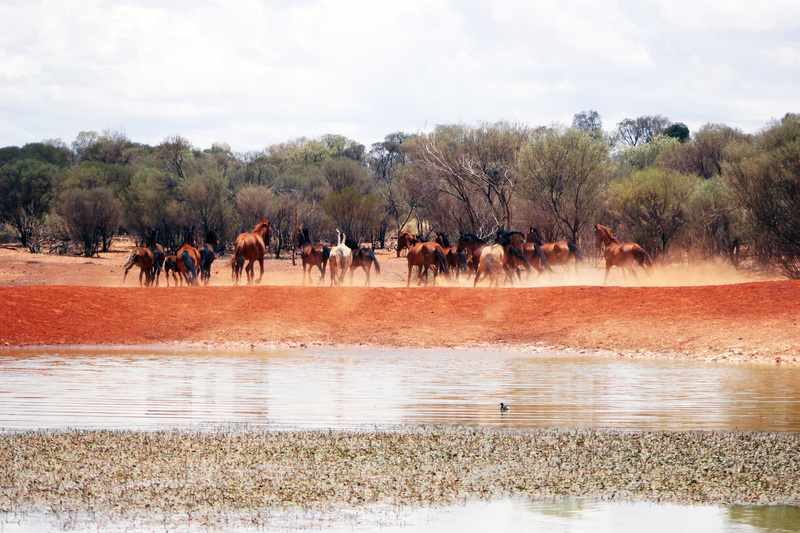 At one stage we had about 3-4 bands of horses, over 30 horses total drinking and milling around the waterhole, and in the few weeks we were based in this area of the Northern Territory we came across hundreds of horses. The difference I noticed between horse-occupied land and protected land is clear. 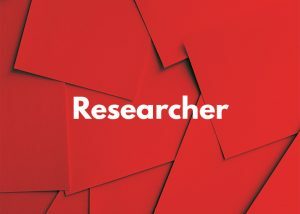 While the practice doesn’t come without moral and ethical quandaries, horse population control is something that has to happen from time to time, with some of the observations made by Chris and fellow researchers showing extremely high fertility rates that are not curbed significantly enough by the flow of the seasons from drought to rain. 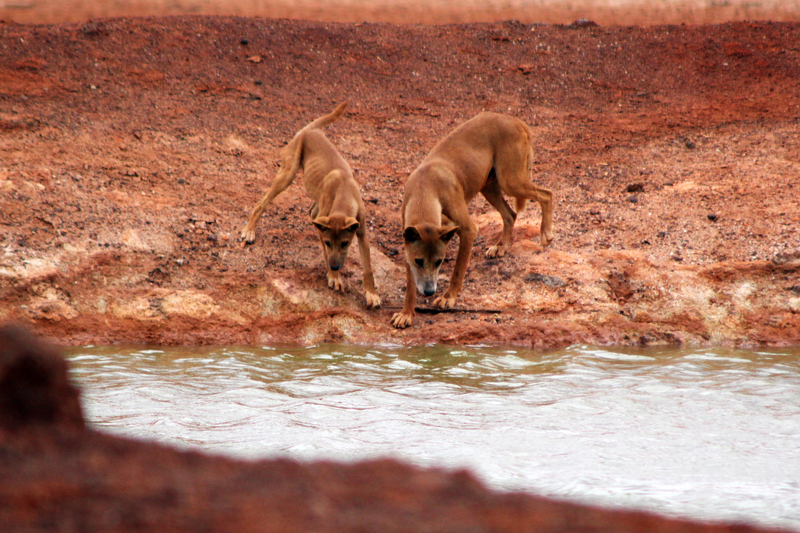 As well as being the waterhole for the horses here, the odd camel would pass through, as well as numerous dingos. 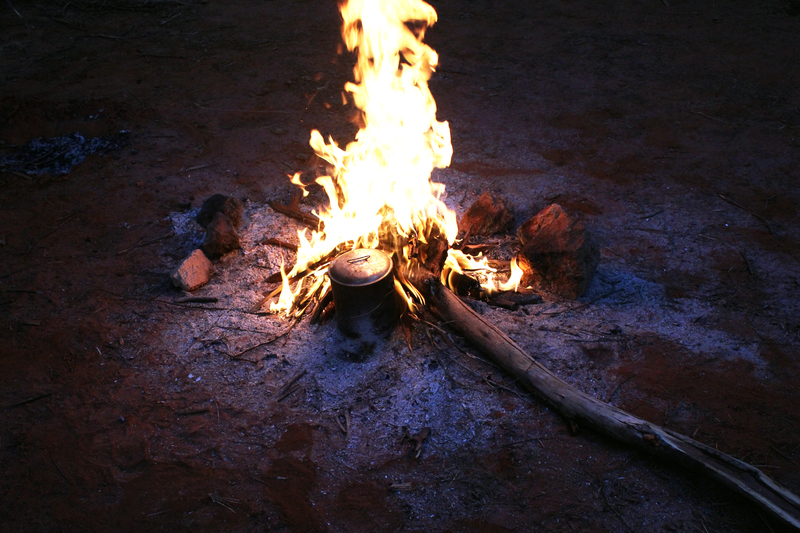 On our final night, only Chris and I were left camping and our camp was surrounded on three sides by dingos howling. When we could still see earlier in the night, they were only 10-20 metres away. As the dark crept in and we finished dinner, the piercing howl from all sides was enough for us to slip our swags into our mosquito nets – for at least a little, if somewhat artificial, protection. 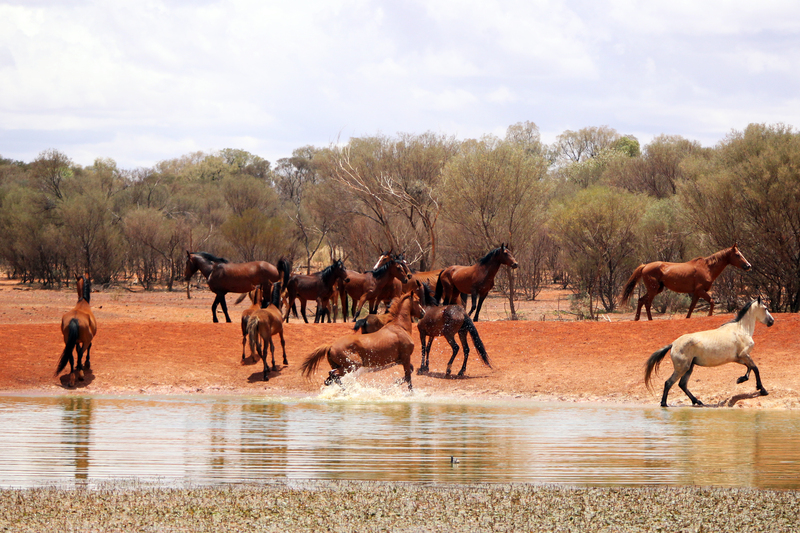 An experience unlikely to ever present itself again, documenting the brumbies of the Northern Territory, camping in Mulga, swimming in the waterhole at night with stars above and horses drinking as I paddled – was an immense pleasure. Aiming for film festivals later this year, Chris’s documentary will be completed over the next year, with any final trips to the NT taking place in the next few months. The photography from this unique trip is available for purchase for those interested as it gets uploaded, and the process of editing more photos will take place over the next few months too. 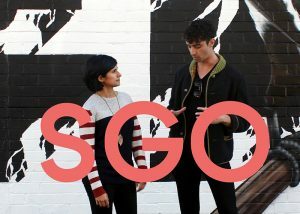 For those interested, keep track of things on this site or here.